What is your view on the outcome of the primaries, especially with regard to the exchange of correspondences between INEC and the APC over failure to conduct primaries before October 7 deadline? What happened in the primaries in some states is very sad, especially as regards the APC. It shows that the party’s chairman, my good friend Comrade Adams Oshiomhole, is ignorant of rudimentary electoral laws and party administration. For APC to have gone to have organized primaries in Zamfara without communication with INEC on change of date was unlawful. The only communication was the initial one on the basis of that INEC mobilized its men to monitor the primaries but nothing took place. If they continued changing dates on the basis of the initial communication they had, that action is not correct, because it falls short of the law and I want to see how they will wriggle out of it. The same thing was applicable to APGA that conducted primaries in the night at Kanu Nwankwo Stadium, with about eight people in attendance and they excluded a lot of people, but I want to say that their action is out of order. So those who are aggrieved have a genuine ground to take action. But the solution lies in the National Assembly and I hope that the amendments they have made so far on the Electoral Act which is awaiting presidential assent have taken care of all these loopholes. But the APC leadership in its October 10 letter to INEC has said that they are still within INEC timetable which says names should be submitted on the 18 of October, and in line with Section 87 (6) of the Electoral Act? It is a fact that INEC said that names should be submitted not later than that day, but that does now mean that they should hold primaries without informing INEC or hold primaries after that October 7 deadline. INEC’s operation is in tandem with the provision of the electoral laws, and there is no other way to go around it. That is why in our own case in the UPP, because each time we are making a change we carry INEC along, respecting date, activity and venue and they are on our website, Facebook and other platforms so that not only are all our member aware of it but also members of the public. Unlike the one Oshiomhole is saying that made INEC to reply that the electoral umpire mobilized its men to Zamfara on the basis of the only communication with them only to arrive and nothing took place. Look, the law does not say INEC should be there, rather it says they should be aware, because I don’t know whether INEC has the personnel to monitor the primaries of the 91 political parties, which were held in the tail end of the deadline… Oshiomhole should better look for alternative programme for its party to survive and participate in the election in Zamfara State. What do you make of multiple primaries conducted in Imo State until the governor’s son in-law was elected, unlike that of Ogun State where the candidate of the governor was not chosen? That is what I have said. I don’t want to be too harsh on my good friend, Oshiomhole. He is quite enthusiastic about his job, sometimes, over-zealous. But I think he has to calm down and get a little orientation on party administration. There are a lot of things he does that still reflects elements of activism, but he should know that this is not a labour movement. And you are dealing with human beings here and not materials and this is a political party and that consideration I have not seen in him. Look at the issues critically and you will observe that even the President’s wife could not hide her discontent and had to voice it out. She has spoken the minds of many members of the party and the chairman should not ignore that. Honestly, there are some people who have been in that leadership position as deputy national chairman of the APC who returned to the National Working Committee. I know one or two of them and I don’t know whether he is actually tapping into their experience in managing APC because each party has its own peculiarity. He just came in with some ideas but there are some ideas you just don’t introduce when election is around the corner. What do you make of the emergence of former Vice President Atiku Abubakar as the presidential candidate of the PDP and what are the implications on the APC and the entire country as we gravitate towards the elections? Well, the stakes have become higher and all that, no doubt, and there are certain things that we should talk about respecting his emergence. One the issue of religion will not be a problem in this election, just as the issue of ethnicity has been canceled out. These are common indicators and the PDP was able to address it based on the zoning arrangement and those who indicated in the presidency from the party. But even at that, all of the aspirants have held public office and we did not expect any angel to come down from heaven to pick the ticket of the PDP to think the leopard will change its spots. Now, it has happened and it is Atiku, though the next issues are baggage and packaging as we enter into the campaign period. But as I said, the stakes are higher. I see that the campaign will be more robust and I see interesting days ahead. I also see challenging days for the security agencies because there might be some young men and women who out of over-zealousness and loyalty to these candidates who might take the laws into their hands and want to go out there and cause many damage ahead of the elections. So security agencies, including the intelligence units must up their ante. It has been said that Nigeria needs a president who has good understanding of the economy, address unemployment, revamp industries and check inflation. Shouldn’t these be the focus of the campaign? Well, all of these will come into play, but let me tell you my brother that the issue of restructuring will take centre-stage. It is one issue most Nigerians, young and old, are passionate about right now. But be that as it may, the economy, industries and infrastructure are vital. We must also look at what damage had been done before President Buhari came into office and how these are been addressed. If he had not come, things would have been on the downward slide the way they were. But I can tell you that PDP was in power for 16 donkey years and caused so many mess that this government has been cleaning up. You cannot complain in three years about poor performance of a government when you were there for 16 years and all you could cause was damage. 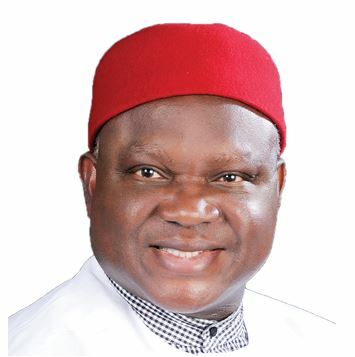 If you ask me, there is nothing in PDP that I, Chekwas Okorie, is missing. No one should make me contemplate another eight years of PDP that will remind me of the party’s16 years of nightmare. Look at what President Buhari is doing- completing projects that were awarded during PDP administration and awarding new ones. He did not terminate them, rather, he reevaluated them, and mobilized contractors to site, pumping unprecedented amount of money into the existing projects. Go into the South-East and you will see what I am talking about, unlike the situation where we put all our eggs in one PDP basket and we had nothing to show for it. But the PDP said it has appologised to Nigerians and promised to turn a new leaf? You seem so vehement in your position? The leopard does not change its spots. I can understand political 419 for a distance, including political 419, because I have been around long enough. When the campaign comes, we know what to tell our people. Are you confident of the preparations for the elections so far? I’m confident that the elections will hold. As a stakeholder and national chairman of a political party that is participating in the coming poll, I’m convinced that the Independent National Electoral Commission (INEC) has made adequate preparations so far. I also know that all political parties are preparing in their different ways. For example, about 39 other political parties have chosen to sign up with the People’s Democratic Party (PDP) in a very curious coalition. I said curious in the sense that they have accepted an Memorandum of Understanding (MoU) to support a PDP presidential candidate even before his emergence. There are other coalitions still going on, and it would continue until the election comes. So, to that extent the political parties have positioned themselves for the 2019 polls. For the electorate, there has been more voter registration that ever before based on increased awareness and consciousness as promoted by many organizations including religious bodies of all the faiths in the country. Additional 14 million voters have been added to the number that participated in the 2015 general elections. That’s quite an improvement. What is your view on the endorsement of the Presidential candidate of the PDP, Atiku Abubakar by former President Olusegun Obasanjo, who had on many occasions, described him in unsavoury terms? I think that was merely symbolic. But first of all, I must admit that as Christian or Muslim, we are expected to forgive one another. For that reason the action is welcome as regards forgiveness. But outside that, he did himself a damage, a severe, irreparable damage, because he has literarily somersaulted. Anyone who has found time to read his book My Watch, can remember the damaging things he said about Atiku; how Atiku would be the worse liability that would befall Nigeria and how God will not forgive him if he ever forgives Atiku. If he said such things in passing, it is a different thing, but to have said that in a book, (which is available for all times, even after he has come and gone) and to turnaround out of his own personal whims and caprices, to go back to his vomit is baffling.